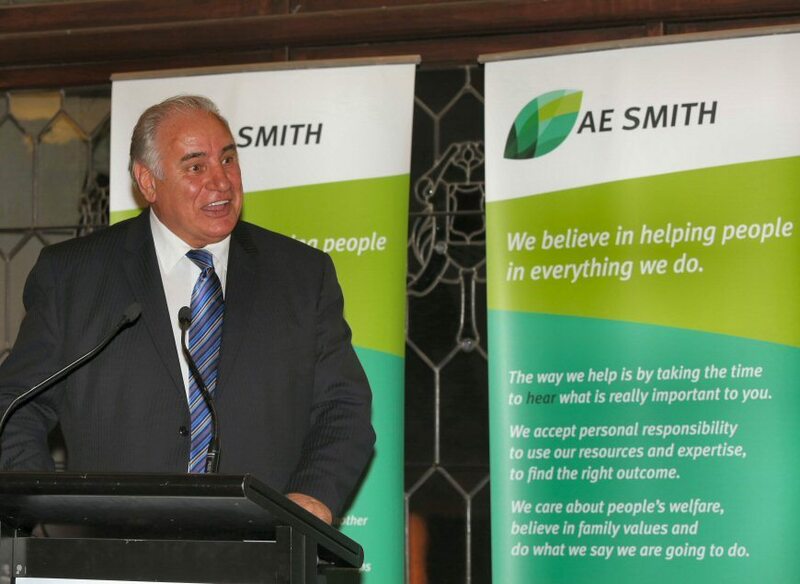 AFL Legend and media personality Sam Kekovich set the tone with a combination of great humour and inspirational messages at the 2013 AE Smith Recognition Awards in April. Kekovich delivered a rousing keynote address – that in between his anecdotes of playing football, working in the media and spearheading the highly successful lamb commercials – highlighted the importance of taking initiative and personal responsibility to achieve success. It was a theme that resonated at the special awards dinner staged in Melbourne, where awards were presented to six individuals and one team for living the AE Smith values of safety, integrity, teamwork, relationships, communication, initiative and recognition. “The collection of winners were shining examples of the values Sam Kekovich spoke of – taking personal responsibility and stepping up,” says CEO Andrew Permezel. “We were very proud to present these recognition awards at a more formal dinner this year to pay tribute to a great collection of individuals who are really living the AE Smith values, ensuring our customers love us and keeping the company a great place to work,” adds Andrew. Pic left: John Gray, Service Manager for AE Smith Gold Coast (holding trophy) accepts his Recognition Award from (L to R) Andrew Permezel, Steve Jackson and Aldo Cevaal. Thank you to Aircon Rentals and Actrol for helping make it possible for Sam Kekovich to be the guest speaker at the 2013 AE Smith Recognition Awards Dinner. Thank you also HSBC and CSG for their sponsorship of the event.